I had a package of goodies from Two Peas in a Bucket waiting for me when I got back from my trip the other day. This time it included items from two companies that I've never purchased or used before, but as soon as I saw them at Two Peas in a Bucket, I fell in love!! 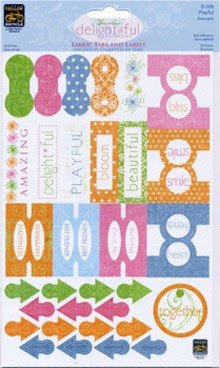 These sets come with 1 sheet of double sided patterned paper and 1 sheet of the die cut cardstock. The patterns, colors and designs are absolutely gorgeous. I can't wait to play with them! 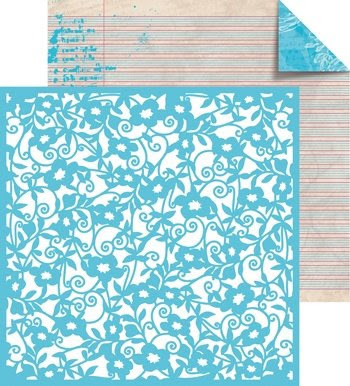 I saw this line awhile back and new that it would be great for spring, summer and or girl layouts. 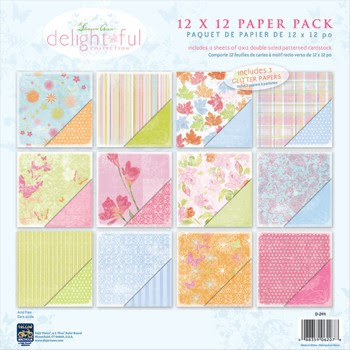 The paper pack is full of precious colors and designs. Great stuff!! Now I just have to find some time in this super busy summer to get scrappin!! I just spent the past week at DSU in Madison, SD as a Company Advisor for Youth Business Adventure (YBA). This is my third year as an advisor and it was a great time, as usual. The program is basically a way to open up the world of business to high school students going into their Senior year. The whole week is set up as a competition between companies. This year I was assigned to Company G and twelve students - 8 girls and 4 boys. The YBA staff groups these students VERY carefully and is always sure not to have students from the same school in any one group, so they are often all strangers at the beginning of the week. It is great to watch them connect and develop lasting friendships as the week progresses. Each company comes up with a company name and develops an idea for a product. Company G ended up being "Global Golf" and the product they came up with was the 'Galileo', a golf ball that you never loose because it has a built in GPS locator and is also bouyant. Neat idea, huh? 1) Junk Production - They have to create a product out of, you guessed it, junk and present it infomercial style. 2) Bowling Competition - It's a team thing. Each person in the team bowls a frame and the game just keeps going for over an hour. The team with the most points wins. 3) Business Bowl - A quiz bowl using business terms. 5) TV Comercial - The team creates and films a commercial advertising their product. 6) Company Logo - The team designs a logo for their company. 7) Emerging Entrepreneur Project - The team prepares a formal 15-minute presentation to give to a group of 'investors' (judges). 8) Management Simulation Game - This is a computerized money game where each company makes financial decisions for their company (price, production levels, marketing expenditures and much more) over 8 quarters (two years) to see how their company will fair in the industry of the 8 other companies. 9) Community Service - Throughout the week, the companies complete various service responsibilities to earn points. 10) Public Relations/Networking - Team members can earn points by interviewing company advisors, teacher assistants, speakers and other staff associated with YBA over the course of the week. If you think that sounds like an insane amount of stuff to complete with a group of kids in 5 1/2 days, you're absolutely right. The time just flies by because it is such a super busy week. Even though their is a lot of 'work' built into this week, there is certainly time for some fun as well with pizza parties, movies and a dance. The kids generally have no problem letting out their goofy sides either! 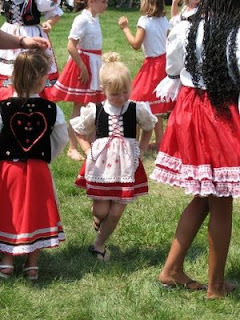 Although it is a ton of fun, it was a long time away from my little girl and I have to admit I'm happy to be home again. Today I've been doing a whole lot of nothing...need some time to just regroup after such a week. Okay...so maybe they are weeds, but who cares. I still think it made for some cute pictures. 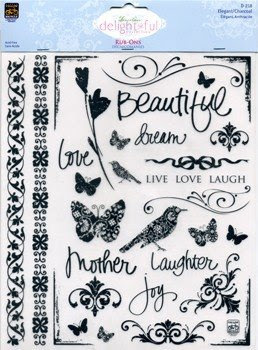 I don't always use sketches when scrapbooking, but sometimes they can be just the boost of inspiration needed when in a rut or simply to help a busy scrapper who's short on time. When it comes to sketches, Becky Fleck has been a long-time favorite. I was lucky enough to have one of my layouts featured in her PageMaps newsletter last June and have featured several more of my layouts created from her sketches on this blog in the past. 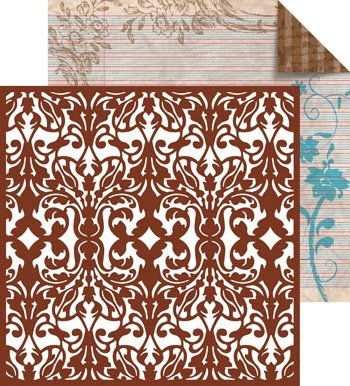 So, I have to say that I was pretty excited when I found out that she was coming out with a book - Scrapbook Page Maps: Sketches For Creative Layouts. Every sketch has at least 2-3 very unique examples - with totals up to a whopping 144 inspiring layouts in a wide variety of sizes and styles! 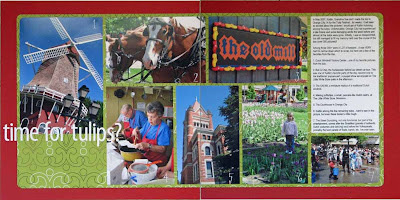 The book includes many layouts by Becky herself, but also features the talented work of 14 other contributors as well: Marla Kress, Mindy Bush, Tiffany Tillman, Judi Vanvalkinburgh, Denine Zielinski, Shawna Martinez, Amy Goldstein, Dawn Inskip, Kim Kesti, Patti Milazzo, Becky Heisler, Sheredian Vickers, Vicki Harvey, and Connie Petertonjes. You can tell that Becky really does admire her designers. Each layout is accompanied by a commentary from her about how it is unique and highlights any special elements or techniques that deserve a little more attention. There are also a few other fun little features in this book. Eye spy's call attention to creative little details on layout that really help it to stand out in the crowd. Tips come from the artists to help you create more successful layouts. Give it a try's are step-by-step instructions of how to achieve some of the techniques featured in the book. There are over four dozen of these three features throughout the book. Last, but certainly not least, the book comes with a deck of sketch cards! The laminated cards featuring each of the sketches in the book are ready to be popped out and put into the box (also included and super easy to assemble). The sketch box is PERFECT for taking to crops or anytime you need a little on-the-go inspiration!! 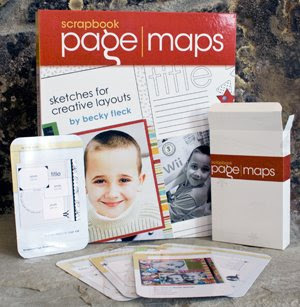 Visit the Scrapbook Page Maps: Sketches For Creative Layouts page at Amazon.com. You can also read more of my reviews for other recommendations. Finally some pictures from Kaitlin's birthday party last weekend. We couldn't have asked for nicer weather...it was about 85 and sunny. Of course, Kaitlin couldn't wait to get the sprinklers going. Games have been huge at our house lately...so it was time to add a few new ones to the mix - Connect 4 and Mancala. Kaitlin's cousins Emily and Rachel gave her a teddy bear with some 'bling' attached - a necklace and butterfly pin. Grandma & Grandpa Pechous satisfied Kaitlin's Hannah Montana fetish. It was a great evening and thanks to all the friends and family that shared it with us. 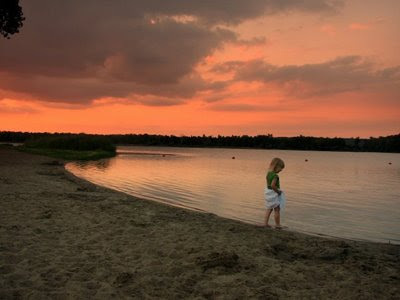 "Then followed that beautiful season...summer....filled was the air with a dreamy and magical light; and the landscape lay as if new created in all the freshness of childhood." Here's your last chance! 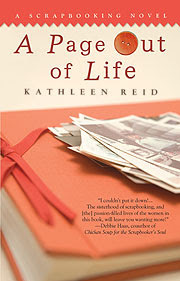 I have two more copies of the wonderful novel by Kathleen Reid called A Page Out of Life and they're both going to be given away through a random drawing from the comments to this post. The women in A Page Out of Life scrapbook for many unique reasons and it was interesting to me how I could relate to several of them as I read this novel. Now, if you're anything like me, there are probably several reasons and you could almost write a novel answering this question, so focus on your MAIN reason and try to answer it in 50 words or less. I will accept new comments through Sunday, June 22nd at 11:59 p.m. CST and the 2 random winners (chosen by Random Integer Generator) will be announced on or before Tuesday, so please be sure to check back in. So, as a scrapper, there nothing more exciting than getting a magazine issue in the mail in which one of your layouts has been published. This is my first time being published by CK, so it is especially thrilling for me! Although I love this layout, it has got to one of the simplest I've made in a VERY LONG TIME - cardstock, one patterned paper, letter stickers, photos, journaling. The fact that this layout got picked up taught me a very valuable lesson about submitting. In the past, I have bypassed submitting certain layouts because they weren't my favorite or I thought that there was nothing 'special' about them or perhaps were too simple. The funny thing is that you never know what might stand out to an editor - a design, a color combination, a theme, a creative use of words or product...you just never know. So, if you're dreaming of publication - SUBMIT and SUBMIT some more. Regardless of what your perception of a layout is. Submitting can be as frustrating as it is exhilarating. If you haven't yet submitted for publication, what's holding you back? If you have submitted, what has been your experience - both positive and negative? Justin did catch a few...although is wasn't a fish every time. Justin and Kaitlin decided they would have a tournament. Whoever reached 10 fish first would be the winner. "You are the author of your life's adventure. Weave your tales of wonder, save a place to dream, and believe in your brave heart." I haven't used up all of my 'old' Making Memories Noteworthy collection, but loved the new Addie and Delaney collections as soon as I saw them, so when Two Peas in a Bucket had a 25% off sale the other day, I snatched them up!! 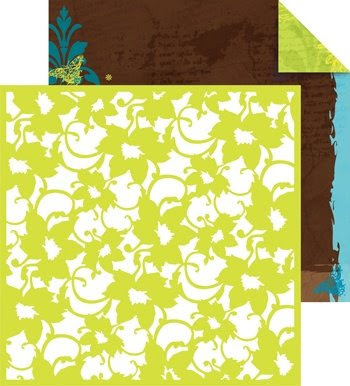 The color combinations are just beautiful and I love all the decorative edged papers. They add so much spice to even the simplest of layouts! 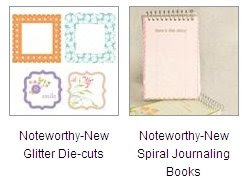 And, of course, one can't get just the papers...you've got to have some of the fun little doodads to go along with them. I'm also getting more and more hooked on letter stickers...snatched up these felt ones by MM in about 6 different colors! Time for some serious scrappin! I have another photography related article published over at WeScrap. It was part of the June newsletter, but you view other great WeScrap articles and tutorials here. You don’t need to have a studio full of professional lights to get great photos of your loved ones. Many of us simply don’t have the space or budget to set up an indoor photography studio at home. Does that mean we shouldn’t be able to get quality results without have to spend an arm and a leg for a professional? Absolutely not! Over the years, the great outdoors has become my favorite studio. Backdrops are in endless supply and all you need is a few good tips to get some great lighting. 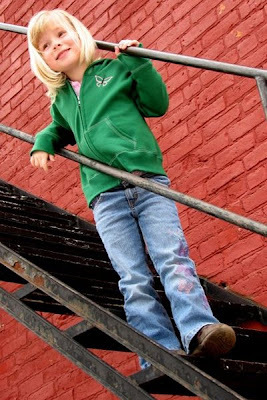 #1 – Get natural: Natural light is actually the most flattering type of light for photos. So get outside and start shooting. Don’t be afraid of weather either. Foggy and rainy days can actually create great mood for more creative shots. You can also take advantage of natural light indoors. Turn off the indoor lighting and position your subject near a large, bright window or set up a makeshift studio beside your open garage door. Position your subject so that the light hits them from the side and use a reflector opposite the window to bounce even more light onto your subject. The photo below was taken indoors with my daughter lying on the floor several feet to the right of our living room window. I left the sheers closed to soften the light hitting her face, essentially acting as a diffuser. #2 – Get Shady: While natural light is ideal, direct light is not. Contrary to popular belief, sunny days are not always best for taking photos. Direct light can cast harsh shadows on faces and cause squinting which is never flattering. Cloudy days can actually be better for taking photos. If you can’t avoid a sunny day, look for open shade such as on the side of a tall building (like I did in the shot below) or a lush tree to get better results. #3 – Get Golden: The hour after sunrise and before sunset are known as the Golden Hours to photographers. These are the absolute BEST times of the day to take photos as the light is generally very soft and warm as a result of the sun being so close to the horizon and therefore causes colors to be at their most vibrant. #4 – Get Flashy (but not when you think): Flash indoors, no flash outdoors, right? Not necessarily. While using flash indoors is sometimes necessary in low light indoors situations, don’t flip up that flash out of habit. Open the curtains and let there be light. The colors will be more natural and warm. Then, when you can’t avoid direct sunlight outdoors, make sure that the subject’s back is to the sun to help avoid squinting and use your flash. It can actually help to fill in some of those nasty shadows. Let me know what you think of this article on lighting...basic, I know, but that was the idea. Are there other basic lighting tips that you live by to help improve your natural light photography?